The stress low-income kids experience affects their brains biologically as well as psychologically. The stress low-income kids experience hurts them biologically. How we punish them doesn’t help. A growing body of research reveals that for many kids, disciplinary issues aren’t simply the result of bad behavior. At the beginning of this school year, Ahmed Mohamed, a freshman at MacArthur High School in Irving, Texas, brought a makeshift clock to school to impress his teachers—and ended up in handcuffs. His teachers, it seemed, thought it could be a bomb, and Mohamed was interrogated without his parents present for hours. While the incident sparked outrage over Islamophobia and racial profiling (partially due to Irving’s earlier public embarrassments), it also revealed that Mohamed was far from an outlier: American students are frequently arrested for minor offenses like throwing paper airplanes, doodling, and burping. Despite the fact that data from the Department of Justice and the Department of Education shows serious behavioral issues in schools have been on the decline over the last few decades, teachers have ratcheted up their disciplinary reactions to the highest level. Such strong punishments are likely based on the assumption that when kids act out, reprimanding them has the potential to remedy the psychological impulse that caused the bad behavior in the first place. But recent research suggests this assumption might often be wrong. 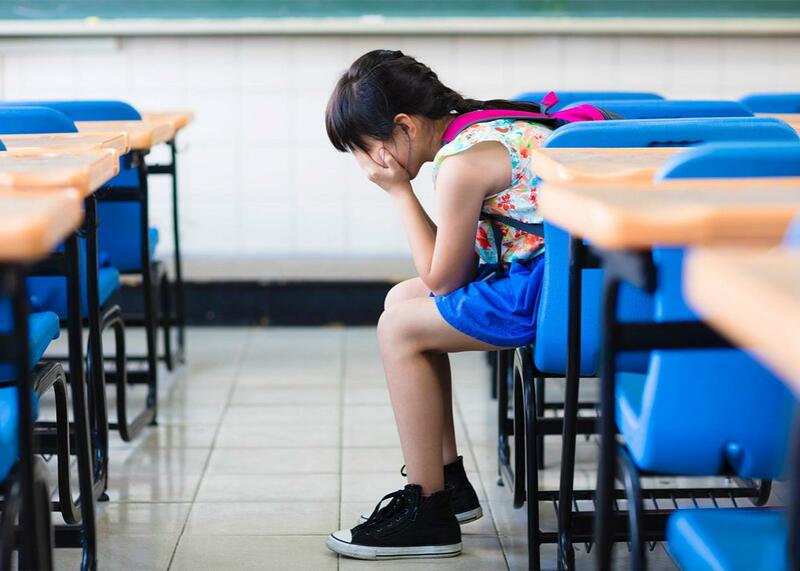 According to a panel of researchers and educators who gathered at the American Museum of Natural History in New York on May 3, a growing body of research reveals that for many kids, disciplinary issues aren’t simply the result of bad behavior, psychologically induced or otherwise. Instead, they argue, bad behavior may result from a deeply rooted biological response to toxic stress. And the current American regime of discipline and punishment that attempts to rein in these impulses is only making things worse. Where is this toxic stress coming from? For many kids who grow up in poverty, associated adverse childhood experiences (or ACEs)—including abuse, neglect, mental illness among parents, or an unstable family structure—are a known source of debilitating stress and longterm dysfunction. A landmark 1985 study of 17,000 members of Kaiser Permanente’s San Diego care program by the Centers for Disease Control and Prevention found that at least 40 percent of Americans experienced two or more ACEs during their childhood. These traumas were likely the root cause of the future dysfunctions that ranged from chronic health issues to alcoholism to suicide. So how exactly, then, does poverty lead to dysfunction in the classroom? The prevailing theory is that ACEs cause a psychological reaction—panic, depression, anxiety, and other negative mental health outcomes—that makes kids more likely to misbehave. But a growing body of work shows that kids actually tend to have biological responses to ACEs, too. ACEs aren’t simple sources of stress as we colloquially refer to tough situations. Instead, they are the cause of toxic stress, a more clinical term for what results from a constant, unrelenting deluge of traumatic experiences. When stress hormones like cortisol remain persistently elevated for too long, the size and neural architecture of the brain’s amygdala, hippocampus, and prefrontal cortex begin to change rapidly, affecting important behaviors like executive functioning, memory, and emotional responses. In other words: Bad behavior may simply be a biological response to the grinding torture of life below the poverty line. Because stress is such a common concept, it’s hard to realize how serious toxic stress is. But it’s critical to recognize it as a valid, clinical concept—a neurological phenomenon that taxes the body’s immune system, debilitates your focus and transforms the architecture of the human brain. This reaction is particularly pronounced in children in the important stages of childhood development, as meticulously documented in Dr. Jack Shonkoff and Deborah Phillips’ “From Neurons to Neighborhoods.” Outrageous classroom behavior among low-income students—from bullying fellow students to aggressive defiance of authority figures—may be less likely to be a cry for attention and more likely the result of a neurobiological transformation. These changes have been known to manifest as cognitive deficits, emotional disorders, and learning disabilities, along with the myriad dysfunctions behavioral described in the landmark ACEs study. And the fact remains that a school environment with a disciplinary regime that revolves around punishment is more likely to further intensify these stresses. While the brain remains incredibly plastic in our early years, affording us some level of neurobiological resilience when faced with trying circumstances, a draconian school environment can snuff out any hope for a neurological respite from trouble at home. The kids are not all right, and teachers, stretched thin in their battle to control class clowns and playground bullies, may, unknowingly, be making it worse. The rise of the school-to-prison pipeline in recent decades may be the most alarming example of the vicious cycle of poverty and dysfunction: Students branded as bad apples by their teacher find their opportunities for a healthy neurobiological environment diminished, resulting in situations that only perpetuate their experience of toxic stress and, in turn, their undesirable behavior. But it doesn’t have to be this way. The current punishments favored by most overstretched teachers are detention and suspension—often used as tools of shame that reinforce the idea of misbehavior as a moral or personal failing. There’s no room for recognizing outbursts as an innate, uncontrollable response to trauma. By reinforcing an environment of shame and failure, teachers too often further the spiral of toxic stress that began at home under the assumption that, well, he’s a bad kid. Toxic stress among children should be recognized as a public health crisis and it should be included as one part of the continued fight against poverty. Policymakers are already hashing out plans to help students better manage toxic stress. For Crotty, that includes individual counseling for students with behavioral issues, small group counseling to help reinforce social skills and emotional stability, and having social workers engage in classrooms to concentrate on restoring executive function—essentially giving the ever-plastic parts of the brain debilitated by toxic stress time to reboot and build resilience to the challenges at home. Unfortunately, it’s a tough cycle to break: Students living below the poverty line are also more likely to attend low-income schools with unstable (and often violent) classroom environments. Additional programs like home visits, counseling, and affordable childcare can help create more stable and nurturing home environments and give both students and parents a chance to recuperate from years of debilitating stress. Of course, these programs are also expensive and less likely to exist where they’re needed most, and they do not solve all the problems. It’s ironic that the assembled group of public health experts gathered to discuss this problem in the halls of the American Museum of Natural History, which once counted Margaret Mead among its curators. After all, it was Mead who once presciently anticipated the impact of toxic stress on American society: “The solution to adult problems tomorrow depends on large measure upon how our children grow up today.” Now, researchers are praying that teachers and administrators take misbehavior’s biological roots in poverty-induced trauma to heart. Their future—and ours—depends on it.